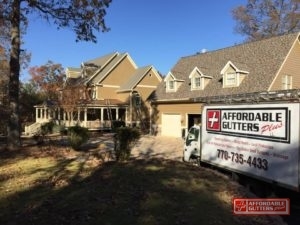 Affordable Gutters Plus, LLC is the company to call for your quality rain gutter installation needs in Powder Springs, GA. We supply your complete gutter and roofing services, giving you excellent rain gutter installation for your home. Ease your worries about roof damage with our top quality rain gutter installation, just one of our many services devised to give you peace of mind and prevent roof damage. Workmanship and customer service are first priority for our expert, licensed contractors every time. For all of your rain gutter installation queries, we are just a phone call away. 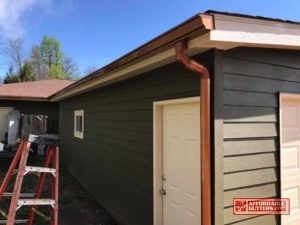 Contact Affordable Gutters Plus, LLC today at 770-735-4433 for your rain gutter installation in Powder Springs, GA.
All your needed residential services are available in Powder Springs, GA from Affordable Gutters Plus, LLC. With home services, our contractors complete more than only rain gutter systems. Your house gets these services and many more. Storms, hail and winds are stopped from damaging your house by your roof system. To increase the defense of your roof, have a quality gutter system installed. Give us a call today at 770-735-4433 to talk with one of our contractors about your house’s roofing or rain gutter installation in Powder Springs, GA.
With the big investment it is to own a home, you anticipate that your family will be capable of live in for a lifetime. 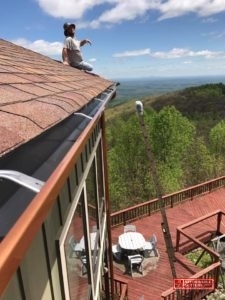 Whether you require a rain gutter installation or a total roofing installation, Affordable Gutters Plus, LLC installs systems created to give you top-notch and last you as long as you possess the house. Licensed contractors make sure you get the systems your home needs with expert installation techniques. No matter what service you need, you always receive top-notch workmanship and excellent customer service. Let’s begin today. Call 770-735-4433 for Affordable Gutters Plus, LLC and rain gutter installation for your Powder Springs, GA home today!